Long-range relay sattelite with an upper-stage communications relay. You get two satellites up with one launch. 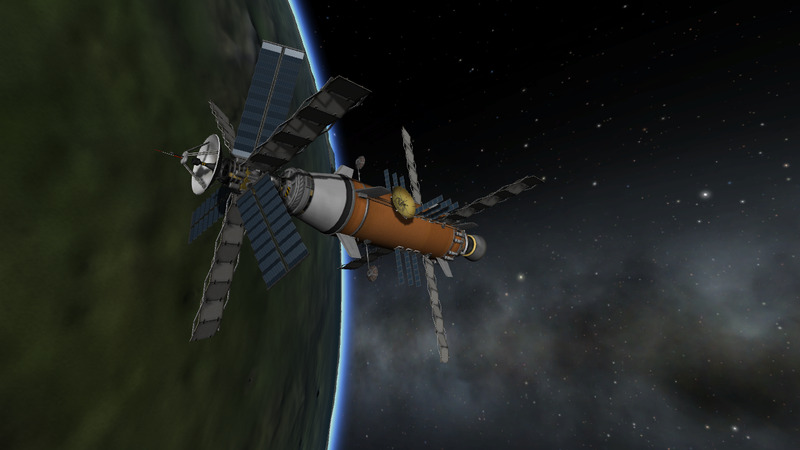 Careful flying will leave you with plenty of delta-V for station-keeping. A mod rocket called Commsat Mk I. Built with 207 of the finest parts, its root part is HECS2.ProbeCore.